Calling all water babies – Salhouse Broad is, as the name suggests, situated right on the shore of a tranquil Broad. Norfolk’s prettiest attraction, the Broads, are a labyrinth of lazy rivers, freshwater lakes and saltwater marshes, forming over 100 miles of lock-free waterways. Britain's largest protected wetland is home to some of England's rarest birdlife such as the marsh harrier and kingfisher, making the region a must-visit for all budding ornithologists. 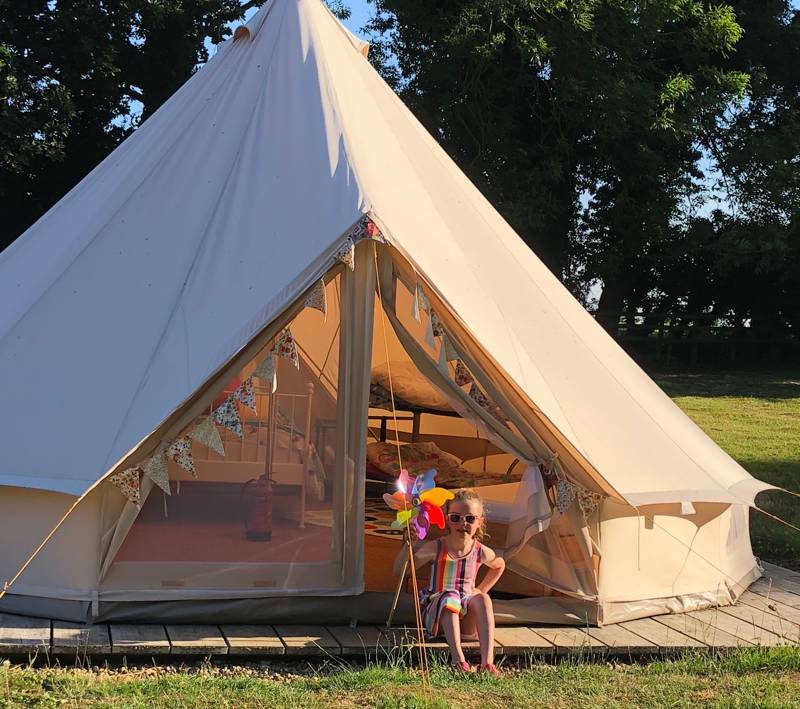 So, if you like your campsites with a waterside vista and more wildlife sightings than an afternoon at the zoo (well, almost), then Salhouse Broad is going to be right up your street. Or should that be Broad? 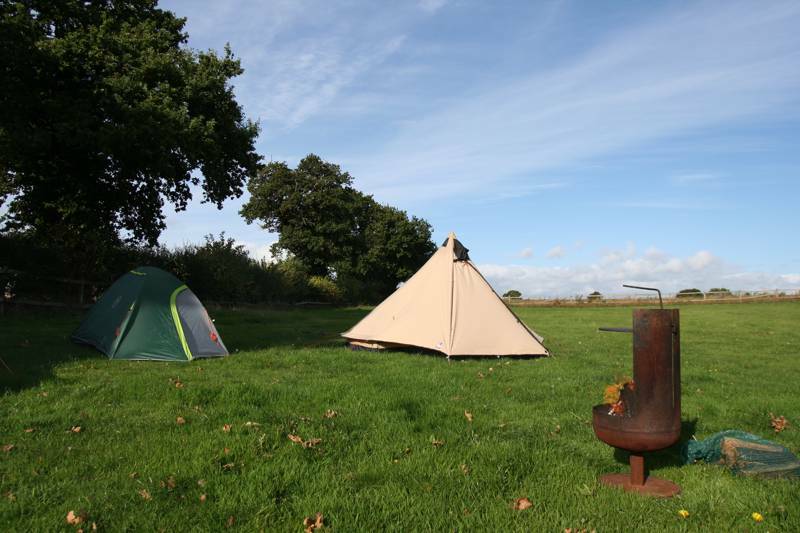 Camping at Salhouse Broad is a suitably back-to-basics affair, with no electric hook-ups or washing facilities. 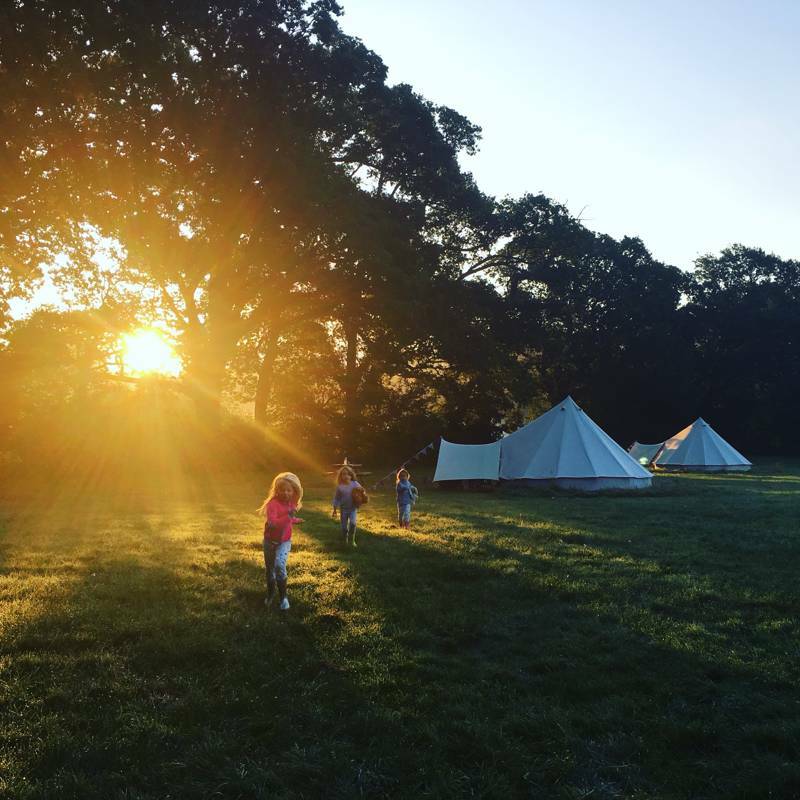 The ‘Camping Corner’ is a one minute walk from the water's edge, and pitches all come unmarked, only adding to the relaxed vibe. 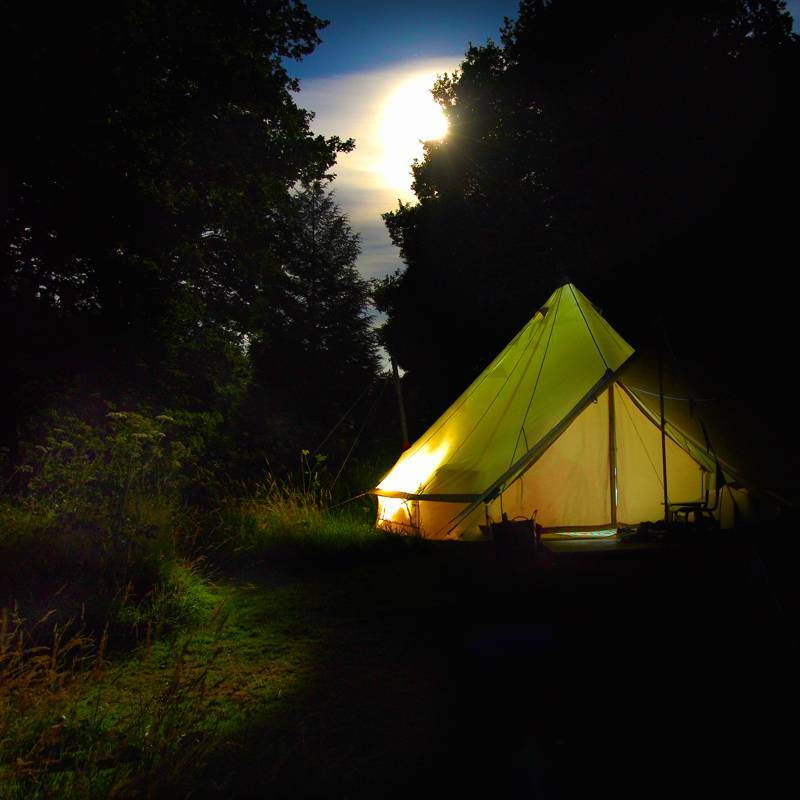 Wherever you decide to set-up camp, the peaceful and harmonious atmosphere of this place is all but assured. Cars are notable by their absence (the car park is a 10-minute walk away), and as for sleeping next to a cumbersome caravan? Forget it. Apart from the odd nattering bird, and, of course, the gently flowing River Bure, you'll have nothing to listen to but your own sighs of contentment. 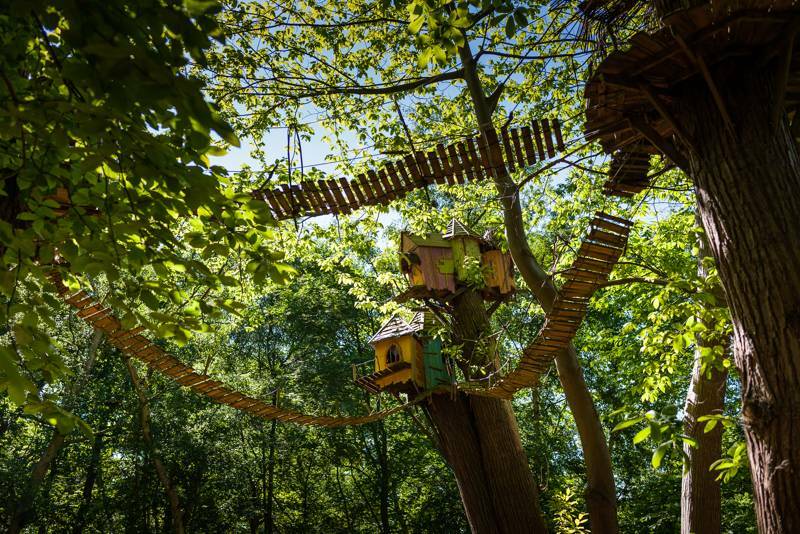 Children can really get stuck in and pretend they’re Huckleberry Finn: the river is a big part of the site's appeal and you can hire canoes or kayaks and go for a paddle. 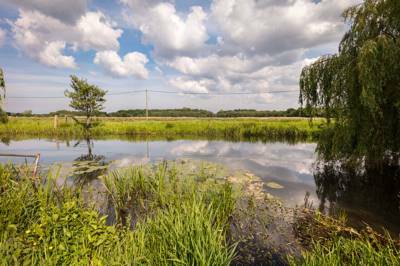 Infrequently criss-crossed by rail and roads, the Broads are best explored by boat, where you could blissfully spend a week or two visiting the many windmills, churches and pubs this watery wonderland has to offer. Exploring the region by car isn’t recommended, but walkers and cyclists can make use of the vast network of footpaths and cycle trails. 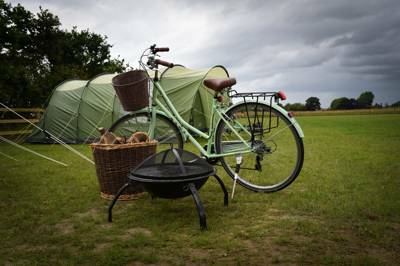 The Broads Authority have plenty of bike rental points dotted around, whilst walkers might consider lacing-up and hitting the 61-mile ‘Weavers Way’. This lovely long-distance footpath winds itself through a diverse landscape of woodland, historic country estates and retired railway lines. The area surrounding Salhouse Broad is simply beautiful and always seems to have something new to reveal: another deserted lake hidden behind the hedges or hundreds of tiny fish swimming around the shallow waters of a trickling river. With the evening air scented by campfire smoke (yes they’re allowed!) 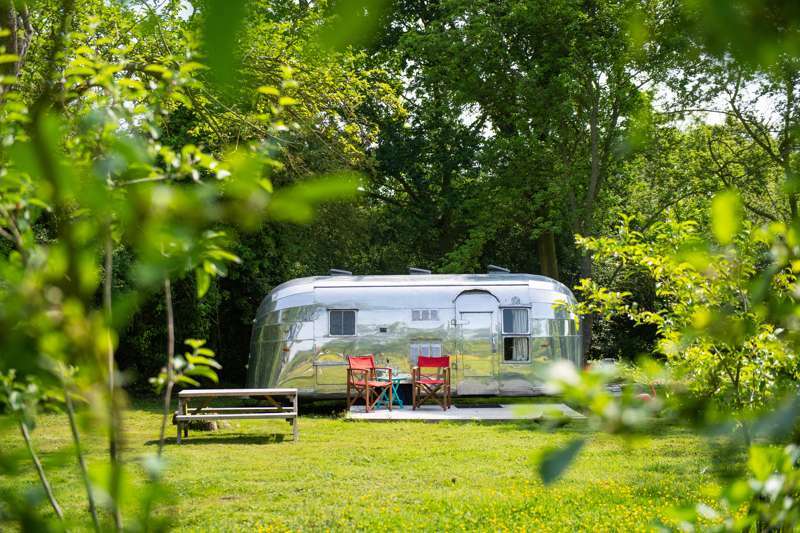 and perhaps the odd sing-song from sociable campers, this wonderful place just oozes rural, back-to-basics appeal. 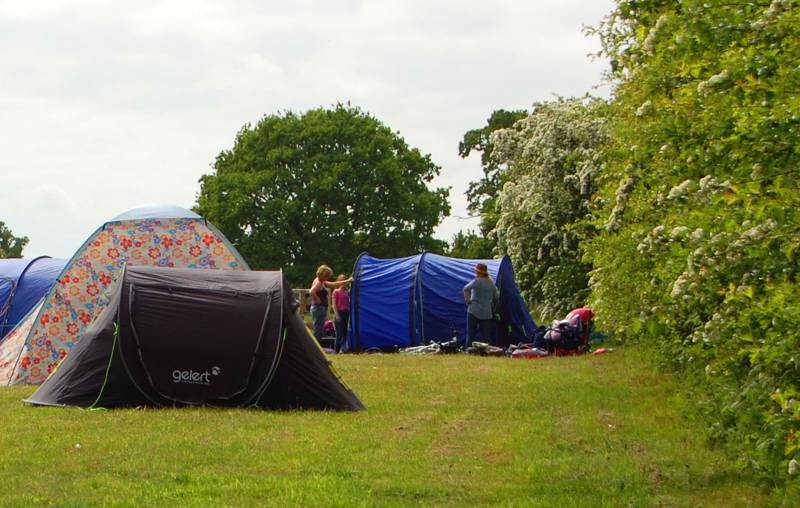 The camping corner is a 1 minute walk from the waters edge and in a lovely location to watch the Broadland sunsets. 25 unmarked spaces (each 4m x 4m) with plenty of room between each pitch. 25 pitches, portaloos (number depends upon the season), disabled portaloo (every season), toilet block in the car park, drinking water (1 minute walk from the site, located at the Broad itself) and trolleys/barrows available to carry equipment from the car park. Fires must be made in the fire pit and disposable BBQ's must be raised off the ground. 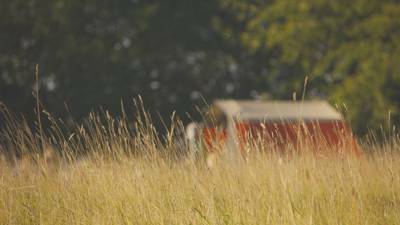 In particularly dry periods there is a ‘no fire’ policy due to dry grass and fire risk. Please look out for signs or ask the Ranger. Please note: there is no electric hook-up or washing facilities. St. Helen's Church in Ranworth (01603 270769) houses a host of fascinating treasures and is the spiritual home for the local community. The church tower can be climbed (89 steps, 2 ladders and a trap door in case you're wondering!) and offers fabulous views of the River Bure. The onsite shop at Woodfordes Brewery (01603 720353) opened in 2007 and is packed full of Norfolk goodies and is just a short walk away. Toad Hole Cottage (01692 678763) is a former eel-catcher’s cottage which now exhibits information on the trade, which was common until the 1940's. Nearby at the River Ant, there are wildlife viewing boat trips in the 'Electric Eel' (01603 756096). Set in the picturesque village of Woodbastwick, The Fur and Feather (01256 384170) offers upper-end quality pub grub (with very large portions) and a lovely local atmosphere. Famous for their Woodfordes Brewery, the pub offers plenty of ‘real ales’ using only the finest local ingredients, including Norfolk-grown barley. The Salhouse Bell (01603 263819) is run by Tipples Brewery, serves affordable pub food and hosts a variety of events throughout the week, including a weekly pub quiz. April–September. Wardens are on duty everyday within this period (from 10am–7pm) for assistance. 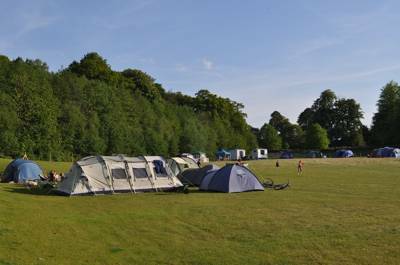 £20 per standard pitch (accommodating 4) with additional campers charged at £3. Dogs are free, but must be kept under close control. From Norwich or Wroxham: follow Lower Street through Salhouse. The Broad car park is on the left as you come to the end of the village. Bus: ask for 'Thieves Lane, Salhouse' with Anglian Bus. Train: the Bittern line stops every two hours at Salhouse Station. Bike: you can secure your bike in the bike-rack just down the path from the car park.